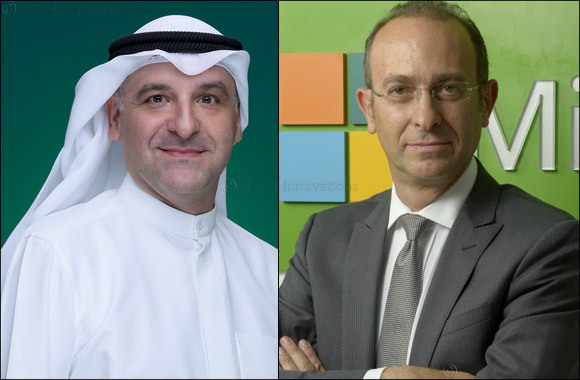 March 3, 2019; Kuwait City, Kuwait – Kuwait Finance House (KFH) today announced that it has adopted Robotic Process Automation solutions by Blue-Prism, built on Microsoft technologies. This makes KFH the region’s first company in the Financial services industry (FSI) to implement a fully automated workflow system for retail credit and enables the organisation to empower its employees to better engage customers, optimize operations and transform services. Working autonomously, the bot will calculate the customer’s eligibility status, accounting for current KFH policy and national regulations, and issue a credit-eligibility report. It will forward all relevant material to the Relationship Manager. The result will be a companywide reduction in workload, freeing up time for selling and cross selling. The bot will also represent a significant cost reduction, stemming from error reduction and increases in compliance.